Infinix Hot 7 has been released with 6.2-inch notch display, Android 8.1 OS, 1/2GB RAM+ 16/32GB ROM, 4000 mAh battery, 8MP front camera, and 13MP rear camera. Some of us have been waiting patiently to see the upcoming smartphone from Infinix mobility but was disappointed with the features of this phone especially the 1GB and 2GB RAM which is very poor and I guess the normal Infinix Hot 7 will be 1GB RAM + 16GB while Infinix Hot 7 pro will be 2GB RAM + 32GB ROM yet, I am still not pleased with such specs. Nevertheless, they might have some good reason for releasing a smartphone with such poor specs, maybe they are targetting users with low budgets who knows. Nigerians are looking for a high-quality smartphone that offers between 3GB - 6GB RAM and 32GB - 128GB at a reasonable price not outdated 1GB RAM phones but that's by the way, all fingers are not equal. Let find out some good things about this phone. Moreover, not having a 4G Network is a big disappointment, though Infinix Hot 7 Pro version might have 4G LTE enabled and from the information I have normal version don't have a 4G network. I have just narrated my disappointment with this phone but there must be something good to share about it equally. If you ask me what I like most about the phone I will tell you the display size and design. Infinix Hot 7 is a well-designed smartphone that looks attractive with 6.2-inch, FullView IPS LCD capacity touchscreen, notch display designed for optimum viewing experience. Looking at the back you will see a high-quality 13MP camera with LCD flash vertically aligned at the top left side. 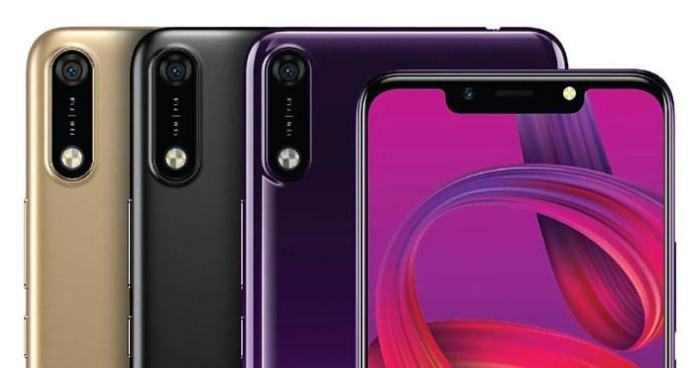 When you turn the front of the phone you will see a 6.2-inch, FullView notch display alongside 8MP front selfie camera with flashlight aligned horizontally on top of the screen. You might have heard about the latest Android operating system called Android 9.0, Pie operating system but unfortunately, Infinix Hot 7 still comes with second to the latest Android 8.1 Oreo enhanced with Octa-core 1.3GHz processor which is not bad at all. However, I have already explained my disappointment with Infinix Hot 7 memory but I guess it was necessary to keep the price low, we have either 1GB RAM/16GB ROM or 2GB RAM/32GB ROM to choose from. You can expand the storage memory up to 128GB if you like which is good news. Infinix is always a good choice when it comes to strong battery because the majority of their smartphone always comes with 4000 mAh battery capacity and the new Infinix Hot 7 follows the same route. The 4000 mAh will be able to keep you for hours and days depending on how you use it. Finally, the camera is good and there other features like fingerprint sensor, Face ID, and dual sim but 4G network feature is not available.